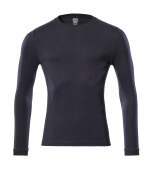 When the warm spring and summer months are just around the corner, work T-shirts from MASCOT are indispensable. 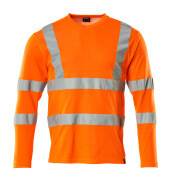 MASCOT carries a wide selection of practical and durable work T-shirts suitable for all industries and for indoor as well as outdoor work. 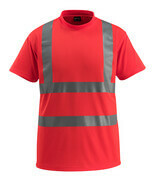 At MASCOT, you will find work T-shirts in a variety of colours, designs and materials. 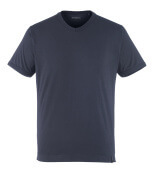 Among other things, you can choose between T-shirts with a round neck or a V-neck, and with short and long sleeves. 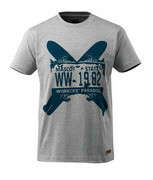 In addition, you will find both single coloured and two-toned T-shirts as well as T-shirts with fashionable print. 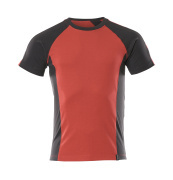 The variety of designs allows you to choose exactly the variant that matches your needs and preferences. 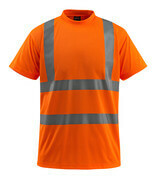 The MASCOT work T-shirts are produced in quality tested materials. 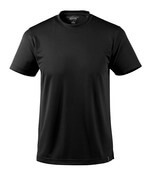 Among other things, you will find durable T-shirts of a sturdy fabric quality with anti-pilling, which means that the fabric does not shed. 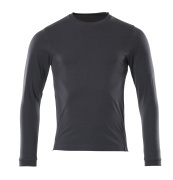 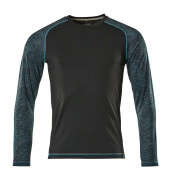 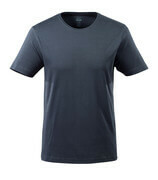 In MASCOT® ADVANCED, moisture wicking and antibacterial T-shirts are available, which give you a good body temperature on a warm summer day as a result of the fabric’s ability to lead moisture away from the body. 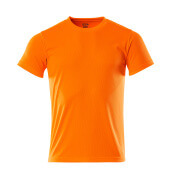 The MASCOT work T-shirts are available in various fits – classic, modern and slim – and as a result, you can easily find a model that matches your requests. If you have a job that requires extra high visibility, MASCOT also has a number of work T-shirts in fluorescent colours approved in accordance with EN ISO 20471. 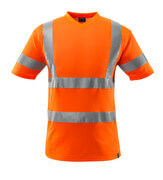 With the fluorescent T-shirts, you can keep visible and safe — even on a hot working day.